Lightweight fabric covered case. 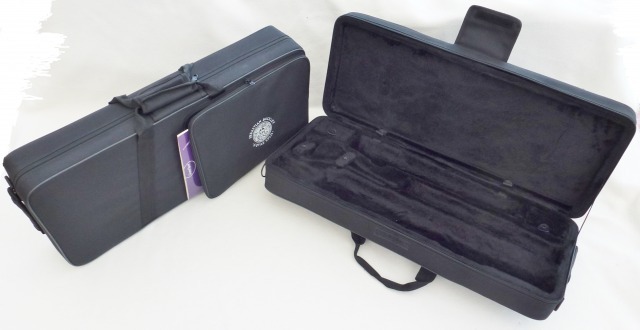 formed around a high density foam to give your instrument maximum protection. Designed to fit a Bb clarinet. Has a soft velour interior. Thing about this case is that it is both extremely compact and lightweight , weighing an incredible 800 grams only , that is significantly less than 2 lb in English. The Measurements are 36 x 21 x 13 Cm. Which for those who would like that in English as well is approx 13.5 " x 8.5" x 5.25 " . 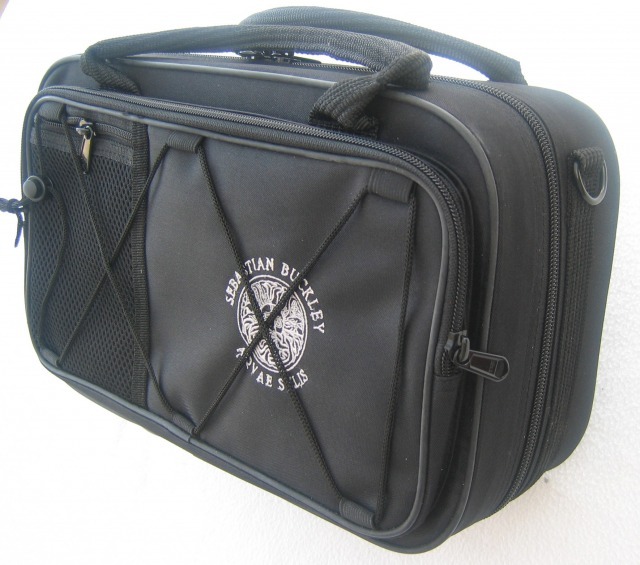 Yet it has space for two barrels, 2 Outside pockets, Shoulder strap and carrying handle. You would hardly notice you were carrying it , almost. Another feature are the rubber feet. I am pleased to say these are now back in stock. SPECIAL OFFER. :- WAS �.99 = NOW �.99 BARGAIN! 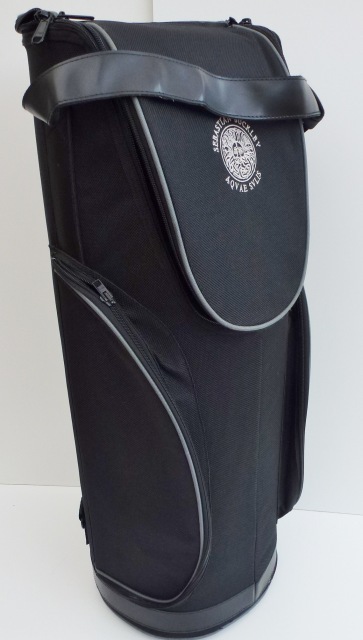 This marvellous Trumpet gig bag is made of a hard wearing polyester -coated fabric, has about an inch of padding, the material touching the instrument is a nice soft velour material. There is a hard insert for the bell so all in all, plenty of protection.Not only that ,there two outside pockets. One that will hold two mouthpieces ,while the other one is for your accessories like slide grease and cleaners etc. Did I mention that it also has backpack straps as well as your normal carrying handles. 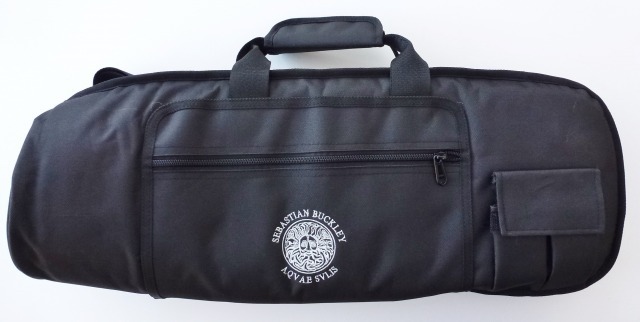 You can also carry it as a shoulder strap as well. All in all, as I say, a brilliant little gig bag. Approx dimensions 17.1/2 inches X 9.5 " inches Weighs l 1/2 LB. . This is now a discontinued Line so make me a reasonable offer and it yours.